It is no secret that happy children mean happy parents. 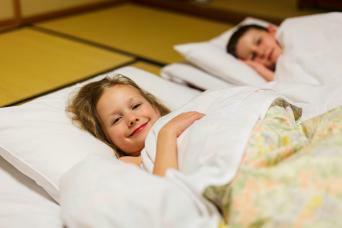 This is why Oku Japan Family Adventures are designed to include experiences and activities which will captivate children and foster family bonding! We know that every trip is a journey of possibilities and we truly want to encourage education and growth through discoveries and travels. Encountering a whole new culture and a different way of living might be one of the best mind-broadening experiences your children can have. 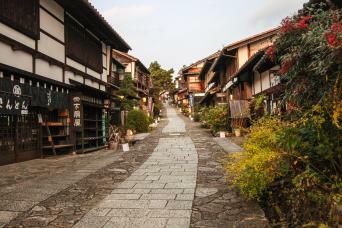 Exploring small Japanese rural communities, gazing at bright city lights, playing Taiko Japanese drums, cycling alongside rice fields, kayaking below a giant red Torii shrine gate, sharing unique interactions with local people and family members - all these moments will create cherished memories to fill your hearts. We welcome younger travellers on all our trips with an accompanying adult. We offer a 10% price reduction for children aged 6-11 years, and an 80% price reduction for infants aged 0-5 years. Please contact us for any specific question you might have regarding walking on the tours, meals or room and bedding requirements.